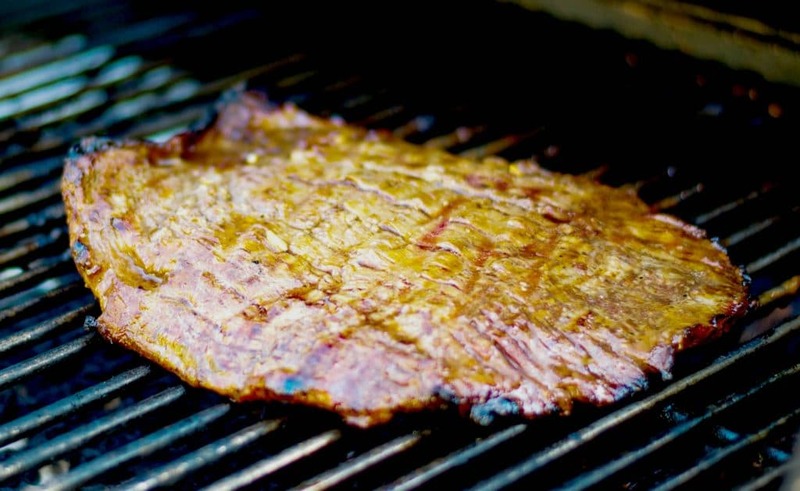 Flank steak marinated in fresh ginger, ginger, soy sauce, and brown sugar; then grilled to perfection. 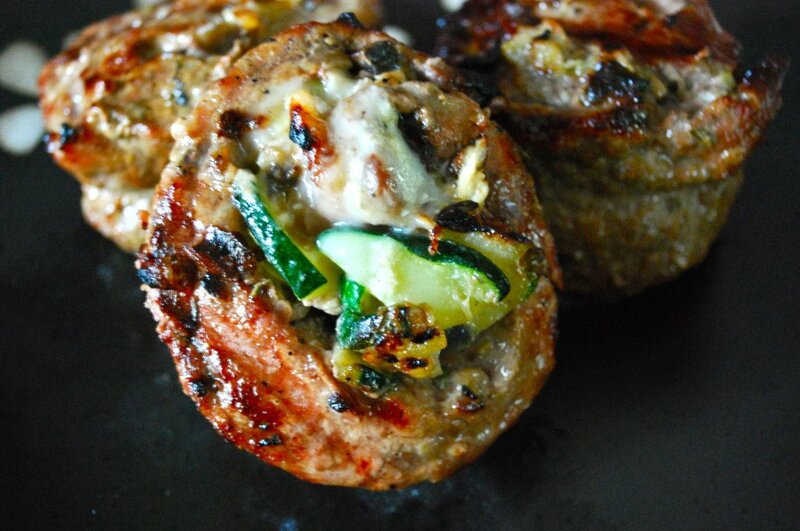 A must-try on your summer grilling list. 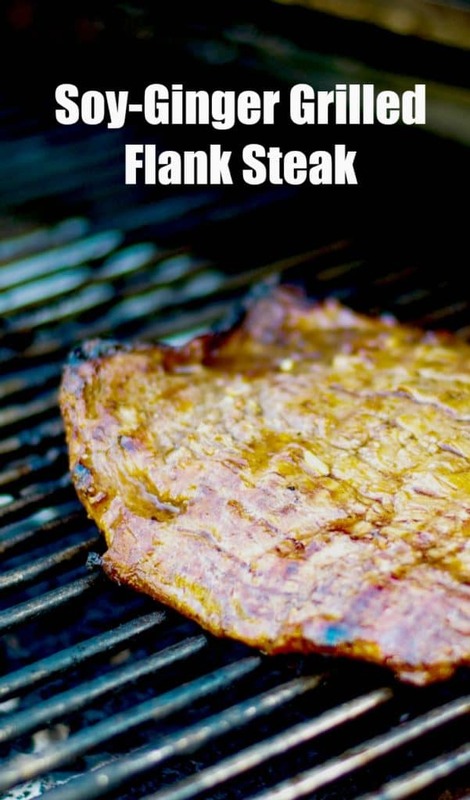 Do you like flank steak? 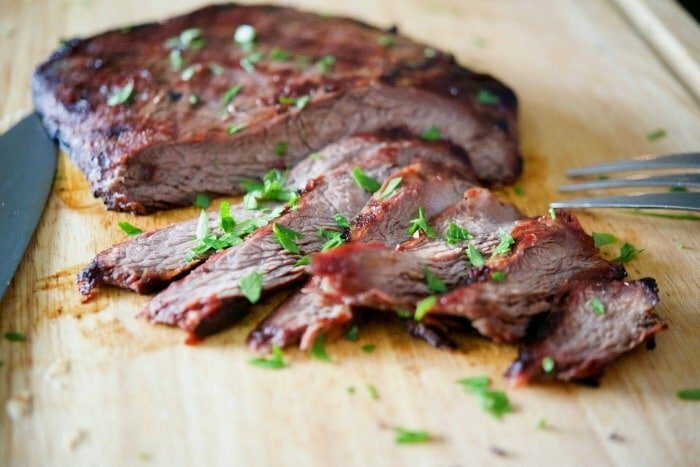 I don’t make it that often as it is a bit tougher than other cuts of beef, but when you marinate it before hand, like I did with this Soy Ginger Grilled Flank Steak, the meat is super moist, tender and loaded with flavor. 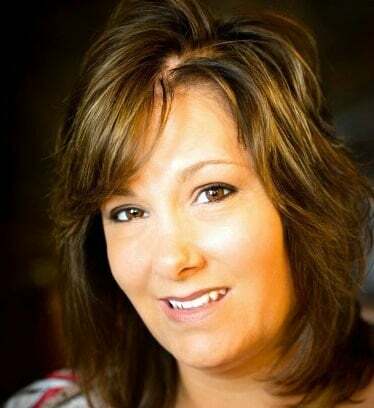 According to an article in the June/July issue of Taste of Home Magazine, grilling meat over high temps triggers the formation of carcinogenic chemicals called heterocyclic amines (HCA’s). They say if you marinate meat for at least 1 hour before you grill, you can cut the HCA formation by 57%-88%. 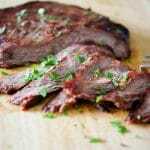 Marinating meat in spicy liquids that contain oil, water, vinegar and herbs is especially effective. I always like to marinate any meat before grilling because I feel it’s adds it’s own uniqueness to whatever you happen to be cooking whether it’s chicken, pork, beef or fish (yes, I do grill shrimp for the hubby and kids!). 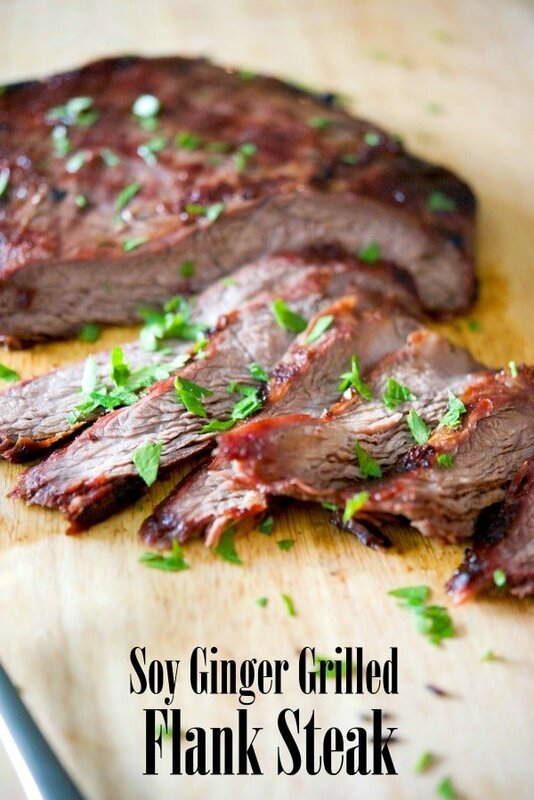 This Soy Ginger Grilled Flank Steak contains a few simple ingredients like soy sauce, oil, ginger, garlic and brown sugar and creates a fabulous, flavorful meal. ~Enjoy! Whisk all of the ingredients together in a small bowl. Add the steak to a resealable plastic bag and pour in the marinade. Refrigerate for at least 4 hours. 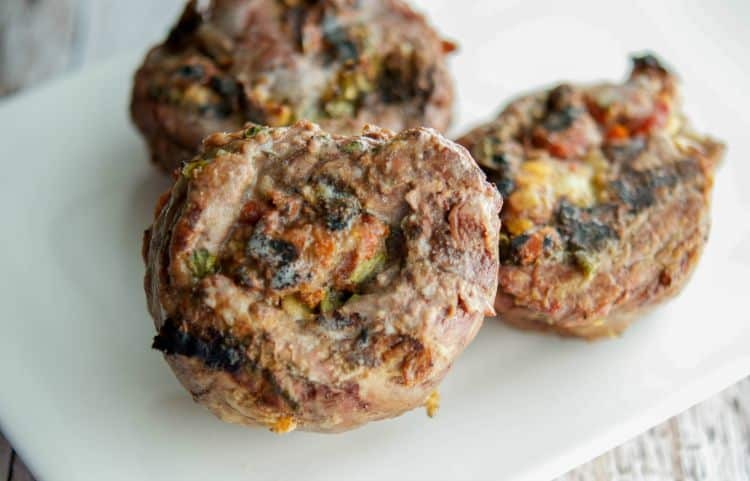 Remove the meat from refrigerator at least 20 minutes prior to grilling; discarding marinade. Heat your grill; then grill meat to desired doneness (approximately 20 minutes). 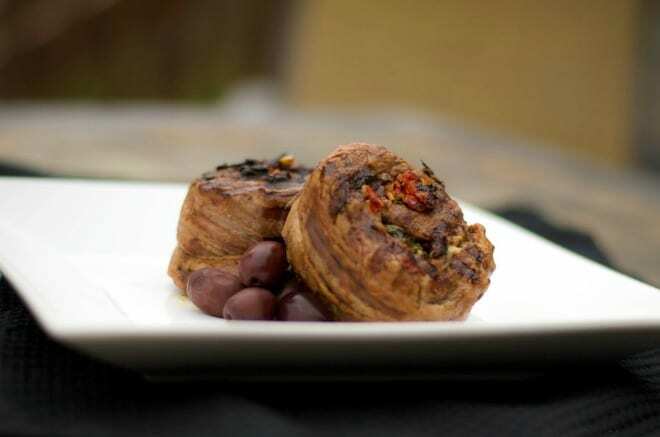 *Allow for a minimum of 4 hours refrigeration time up to overnight for marinating the meat. 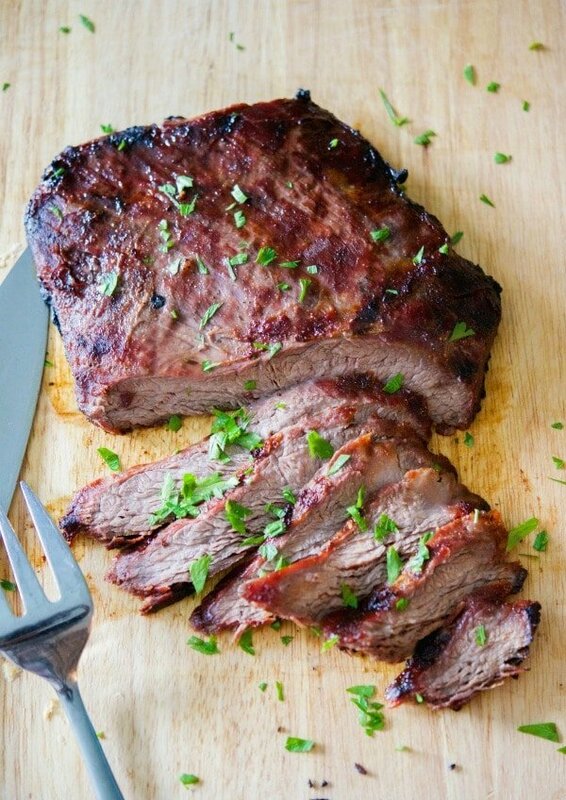 What is your favorite way to eat flank steak? I love flank steak. Not only is it cheap but it is very healthy as well! Great marinade as well! SOOOO Much grilling to do… Love the marinade recipe. Terrific post and that photo makes my mouth water! I love soy sauce based marinades for beef because they almost act as a brine with their high salt content. Very nice!